carrying lots can be hard but not any more with this adidas 3 Stripes Power Medium Backpack in Black, White and White. This medium sized backpack has been crafted by German sports brand adidas. When you've got lots to carry this backpack will help you manage the load. It comes with ergonomic shoulder straps made from breathable mesh for comfort. 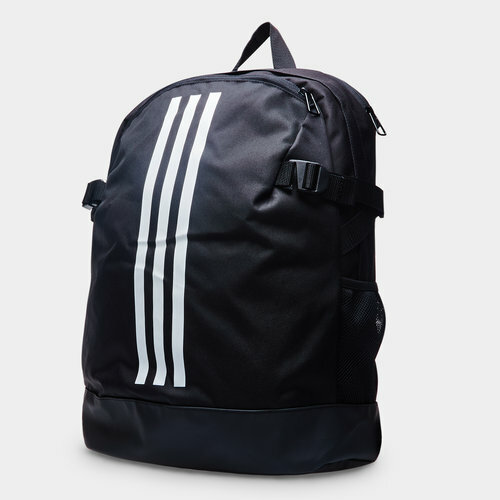 Built with a TPE-coated base making this backpack durable and water resistant it has been finished with 3 stripes down the front making it classic adidas.